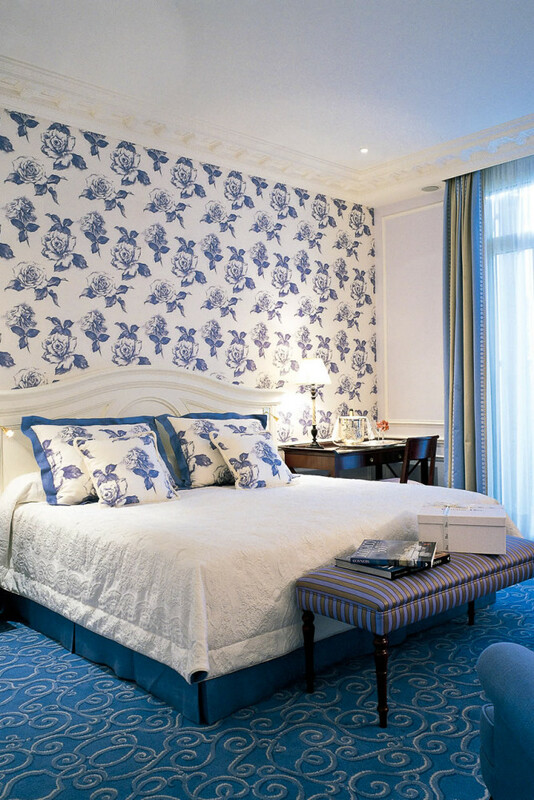 Hotel Hermitage is a perfect base from which to explore and an icon itself. 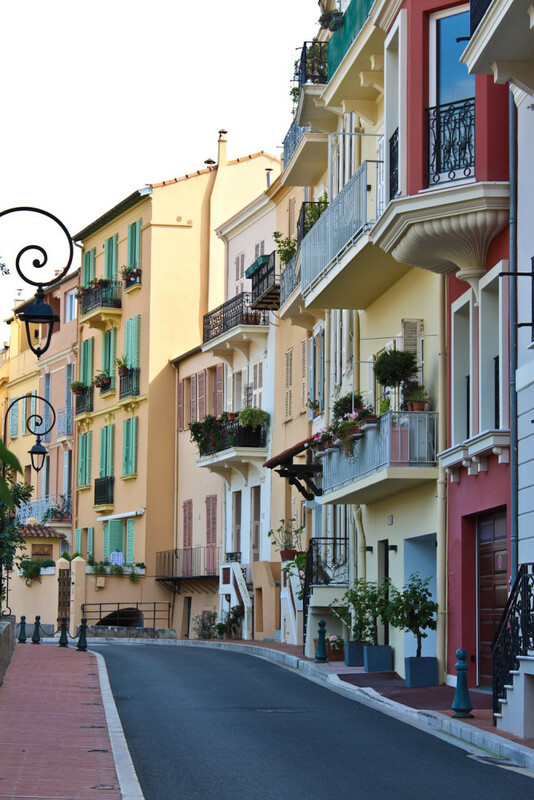 Monaco’s most exclusive postcodes are lined with sorbet-coloured villas. 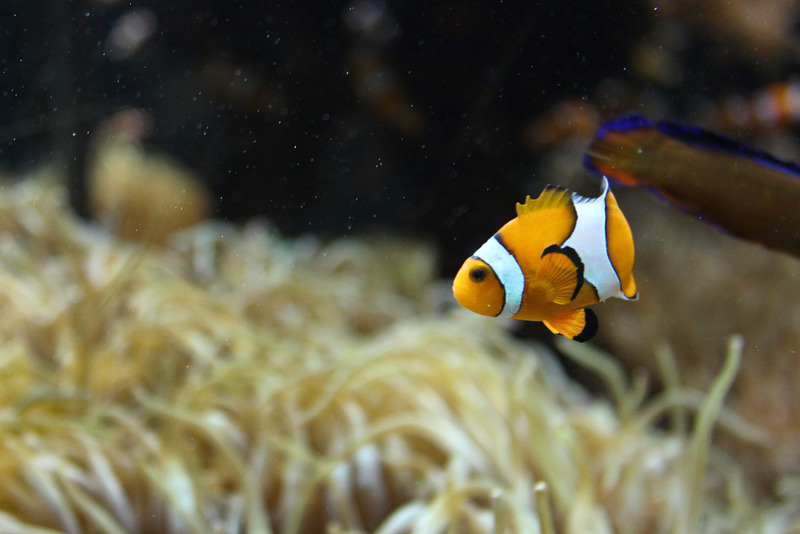 Spend hours gawking at the varied marine life at the Musée Océanographique de Monaco. The grand façade of Saint Nicholas Cathedral. 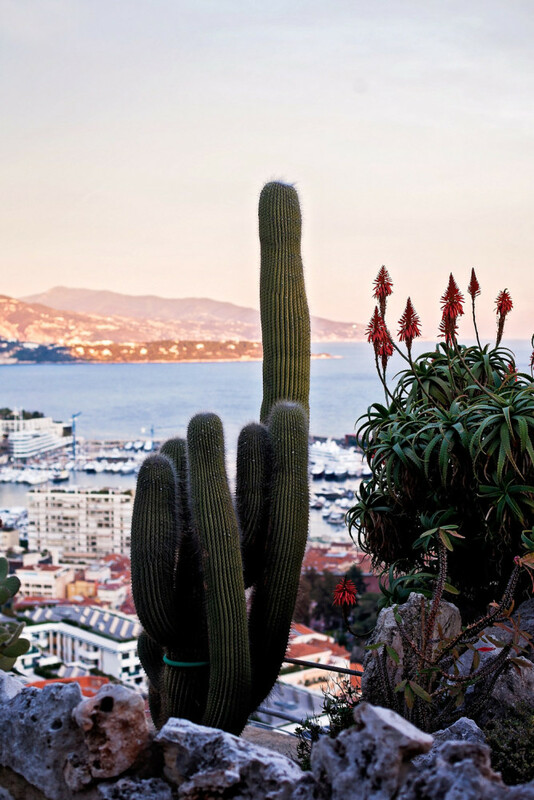 The must-visit Jardin Exotique de Monaco. Join the rich and famous in a tiny Mediterranean nation full of history, exclusive restaurants and iconic sights. Leigh-Ann Pow is your guide. The only way to arrive into such a haven of the rich and fabulous as Monaco is in a suitably fabulous way. So after landing at Nice Côte d’Azur Airport I head straight to the Heli Air Monaco desk to check into my helicopter flight. It takes just seven minutes to whisk me down the Mediterranean coast to a helipad on the water’s edge at Fontvieille. From here I drive through the winding streets heading to the suitably luxe Hotel Hermitage, an architectural confection of the Belle Époque. The Hotel Hermitage becomes my first sightseeing experience, given its venerable history: the dining room is the work of Gabriel Ferrier, its frescoed ceiling painted in the style of Fragonard and Boucher; the glass roof in the Winter Garden was designed by Gustave Eiffel. Even the exquisitely tiled floors are compelling, with their intricate patterns time-worn by over a century of foot falls. My light-filled room, with its floor-to-ceiling marble bathroom and painted wall panels, is the prettiest I have ever stayed in. Walking is the best way to see Monaco; after all it is the second smallest country in the world at just two square kilometres. Any visit here requires an inspection of the Casino de Monte-Carlo, made famous by Charles Garnier’s magnificent green domed roof and James Bond’s exploits. It’s a five-minute walk from the Hotel Hermitage, past luxury stores like Cartier, Chanel, Prada et al and the gorgeous Hotel de Paris, which has been undergoing extensive renovations for the last two years. If you want to venture inside the casino has strict dress codes and is also a no-go zone for the native Monégasque, who are forbidden to gamble here. One of the best places to admire the view of the Casino and watch the often frenetic scene that surrounds it is from a table at nearby Cafe de Paris. Lunch here doesn’t come cheap, so you might want to grab a coffee or an iced tea just to see and be seen, and then head into the nearby Le Metropole shopping centre and grab a sandwich. The royal family of Monaco are hugely popular here; the country is a principality ruled over by the Grimaldi dynasty and there are photographs of the current ruler Prince Albert and his Zimbabwean-born wife Princess Charlene everywhere. The Prince’s Palace of Monaco is still the private home of the royals, but there are staterooms open to the public. It’s an energetic walk up the imposing Le Rocher (The Rock) via the Rampe Major to the old town of Monaco-Ville, where the palace is situated, but it is well worth it as the views of the harbour and the Mediterranean beyond are stunning. The original fortress on The Rock was built by the Genoese in 1215, but the Prince’s Palace that now dominates it was constructed in the 18th century in the style of Louis XIV. The tour of the state apartments takes in lavish room after room decorated to the hilt with endless marble, frescoes, gilt and swathes of silk. The walk down the hill is much more pleasant, depositing you at La Condamine. From here you can walk through the streets of Les Moneghetti, past cafes and shops and pretty private villas painted in a rainbow of sorbet colours. Forget navigating by map, it’s more fun just wandering and seeing where you end up (given the size of Monaco it’s not like you are going to get dreadfully lost). 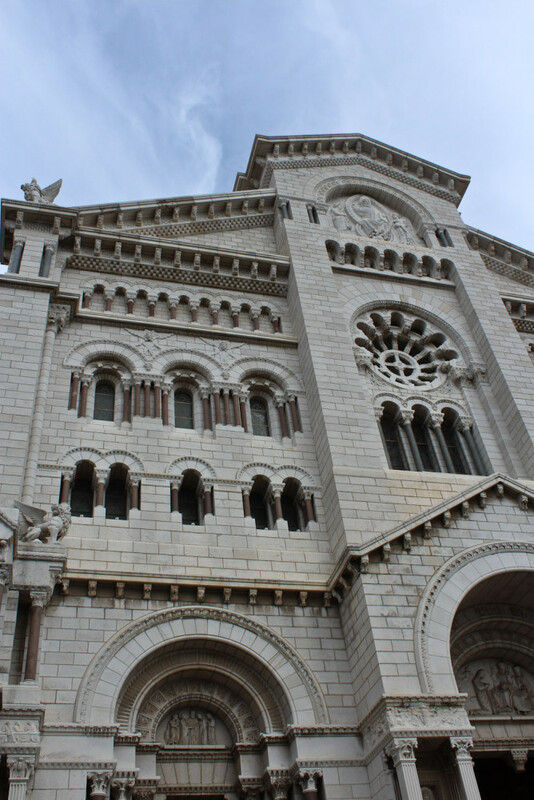 There are plenty of churches dotted throughout Monaco, a devoutly Catholic country, but I think the prettiest is Sainte-Dévote Chapel, with its white exterior and stained glass windows. 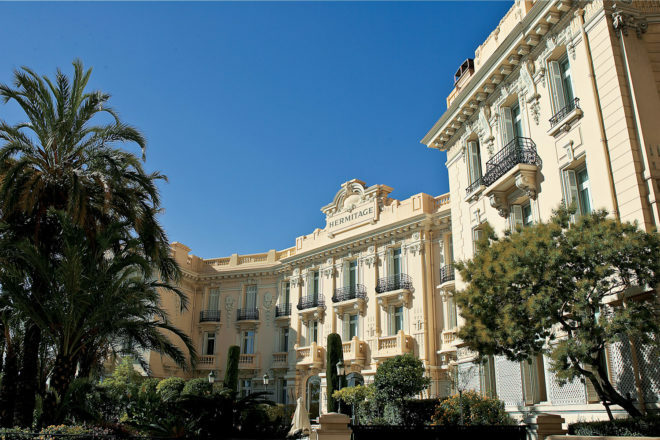 Named for the patron saint of Monaco, it holds a special place in the hearts of the Monégasque; it is also where the first corner of the Monaco Grand Prix takes place, so it is pretty important to rev-heads too. 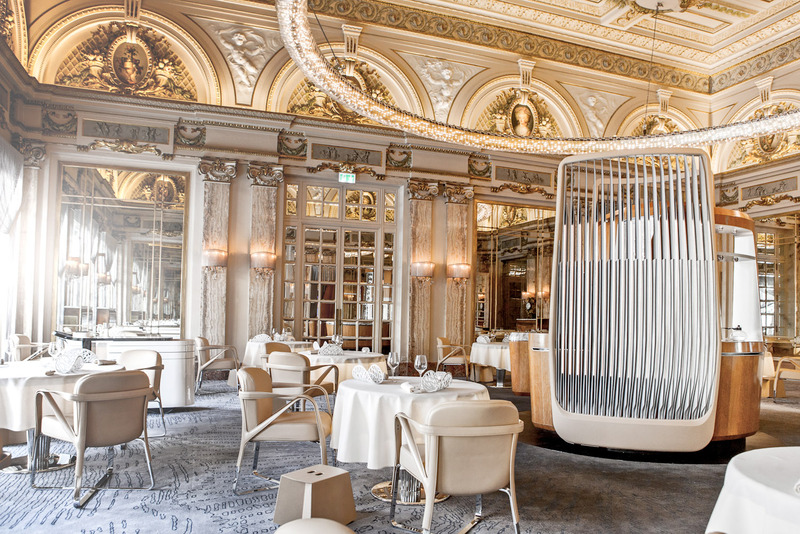 If you live by the creed that you can’t take it with you when you go, then you should seriously consider dinner at Le Louis XV, renowned chef Alain Ducasse’s fine dining restaurant at the Hotel de Paris. The entrée of chilled langoustines and chickpeas with crushed purslanes will set you back $179, but given the cartload of Michelin stars Ducasse has amassed during his career it is guaranteed to taste fantastic. Set the alarm and head out early to take in the lovely La Condamine Markets. Here on the Place d’Ármes, all manner of fresh produce is laid out in stalls under striped awnings, as the noise and the smells and the colour fill your senses. Grab a punnet of fresh berries and just sit and watch the locals come and go, buying up their supplies for the day. Monaco has one of the most impressive aquariums in the world: the Musée Océanographique de Monaco. Housed in a magnificent Baroque Revival building perched atop a sheer cliff, the museum is home to the Mediterranean Science Commission and is part of the Oceanographic Institute, which is committed to expanding knowledge on the oceans. It’s a cause close to the heart of Prince Albert; one of the interesting facts I learn is that canned tuna isn’t sold in Monaco due to its impact on marine life. While up on The Rock, walk the short distance to check out the impressive Saint Nicholas Cathedral and then keep walking into Monaco-Ville. Given its concentration of wealthy citizens, it’s hard to find an affordable meal in Monaco, but the bistros and cafes in the area are reasonably priced. While you are on the French Riviera it would be a shame not to clock up a bit of time dipping your toes in this most celebrated of coastlines. If you are not privileged enough to have access to the private beach and chic striped cabanas at the Monte-Carlo Beach Club, head to Larvotto Beach, drop your towel on the pebbles (or snag a deckchair) and soak up the sun and the atmosphere. Shopping here is a treat of the look-but-don’t-touch variety, unless you have been saving up your pennies to buy that perfect Saint Laurent handbag. There are boutiques everywhere, but one of the most visually arresting places to shop is in the futuristic pods that sit in the Place du Casino. The space-age tiled and glass blobs (for want of a better word) house just about every brand worth wearing the luxury tag. The Jardin Exotique de Monaco is a lovely way to finish off the day, strolling through myriad cacti and succulents that imbibe this most European of destinations with an exotic air. During summer it’s open until 7pm. If you feel like splashing out on dinner again, Hotel Hermitage’s Michelin-starred Le Vistamar will certainly oblige. But now that you have your bearings, maybe just head out and follow the locals to any number of bustling cafes and restaurants around Les Moneghetti or Monte Carlo. It’s possibly the only chance you’ll get to live like a local unless there’s a lottery win on your horizon.